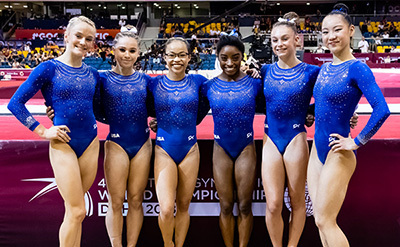 DOHA, Qatar, Oct. 28, 2018 – At the conclusion of the women’s qualification round, the U.S. women retained their spot at the top of the team rankings at the 2018 World Gymnastics Championships at the Aspire Dome in Doha, Qatar. 2016 Olympic and three-time World all-around champion Simone Biles of Spring, Texas/World Champions Centre, and 2017 World all-around champion Morgan Hurd of Middletown, Del./First State Gymnastics, will compete in the all-around. Biles also qualified for all four event finals. The women’s team finals are set for Oct. 30 at 4 p.m. Doha time/9 a.m. ET. The men’s team final is tomorrow at 4 p.m. Doha time/9 a.m. ET, and U.S. fans can watch the finals live at olympicchannel.com and on the Olympic Channel. The U.S. women’s team includes Kara Eaker of Grain Valley, Missouri/ Great American Gymnastics Express; Grace McCallum of Isanti, Minn./Twin City Twisters; Riley McCusker of Brielle, N.J./MG Elite; Biles; and Hurd. Ragan Smith of Lewisville, Texas/Texas Dreams Gymnastics, is the alternate. The U.S. women competing in the event finals are listed below. The USA had the top preliminary team score of 174.429, nearly nine points ahead of Russia’s 165.497. China rounds out the top three at 165.196. For the all-around and event finals, only two per country can advance. All three of the U.S. women finished in the top 10 in the qualification round, with Biles in first (60.965), Hurd in second (56.465) and McCusker in eighth place (54.765). Japan’s Mai Murakami was third (55.632). In the event qualification rankings, Biles posted the top score in vault (15.666), balance beam (14.800) and floor exercise (15.333) and the second best on uneven bars (14.866). The other team qualification rankings by event were: vault – McCallum/10 (14.066); uneven bars –Hurd/5 (14.466), McCusker/13 (14.133), and McCallum/14 (14.100); balance beam –Eaker/2 (14.466), Hurd/11 (13.466), and McCusker/26 (13.100); and floor exercise – Hurd/4 (13.933), McCallum/7 (13.800), and McCusker/14 (13.266). The finals schedule is: Oct. 29, men’s team, 9 a.m. ET; Oct. 30, women’s team, 9 a.m. ET; Oct. 31, men’s all-around, 9 a.m. ET; Nov. 1, women’s all-around; Nov. 2, event finals (men – floor exercise, pommel horse, still rings; women – vault, uneven bars), 9 a.m. 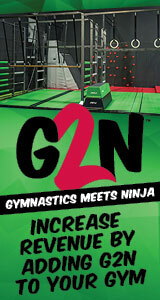 ET; and Nov. 3, event finals (men – vault, parallel bars, horizontal bar; women – balance beam, floor exercise), 9 a.m. ET.